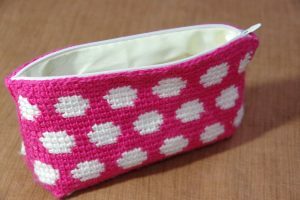 The Give It All You Dot Makeup Bag is cute as can be and to give it that complete look, lining this bag with fabric is the way to go. 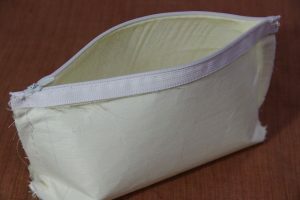 Plus, if you use it as a makeup bag, the lining will protect your hard work from being soiled by loose eyeshadow powder, mascara spills and the like. 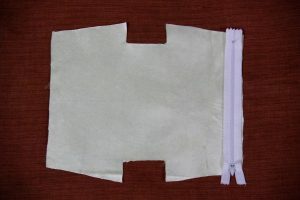 Fold pouch in half and lay folded fabric flat on pouch. 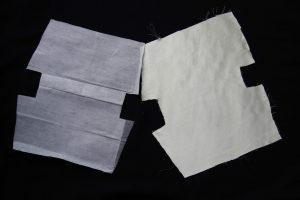 Leaving ¼” for seams, cut fabric along with interfacing accordingly. 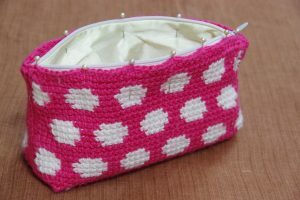 Using zipper method explained below, join sides first starting from bottom corner of pouch. Place sides together side by side with RS facing upwards. Starting from the left side, insert hook with MC from front to back into the inside loop (or back loop) of the first st. Then insert on the right side of the work from front to back. Yo, pull through all 3 loops on hook. Cont in this manner to the end. Fasten off. Now using the same method, join bottom of pouch. Join MC to top of pouch and finish with sc BO. Join to first st. Position zipper back facing RS of fabric and sew. 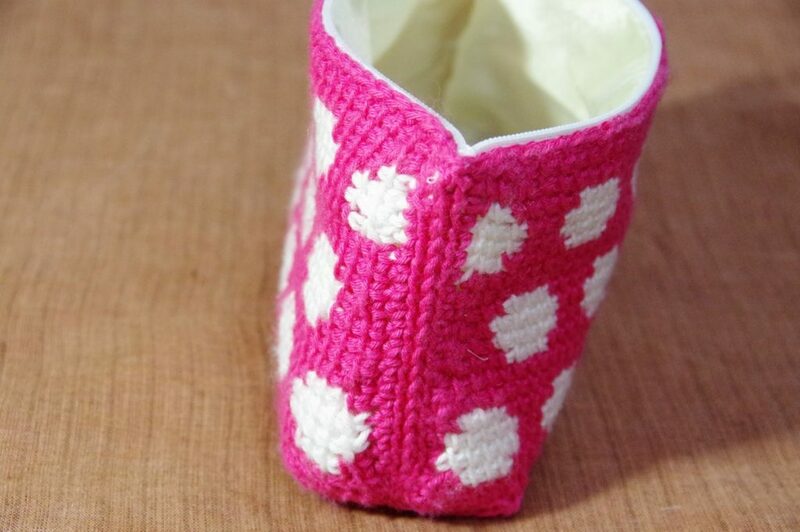 Keeping zipper open, align sides of lining with right sides facing. 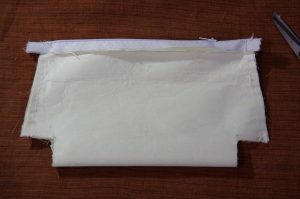 Sew down the sides of the lining with ¼” seam. Sew bottom. Remove metal bits to make sewing easier. Reinforce zipper ends by sewing several times around zipper teeth. 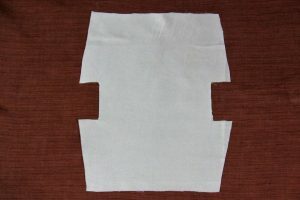 Sew bottom edges on both sides. 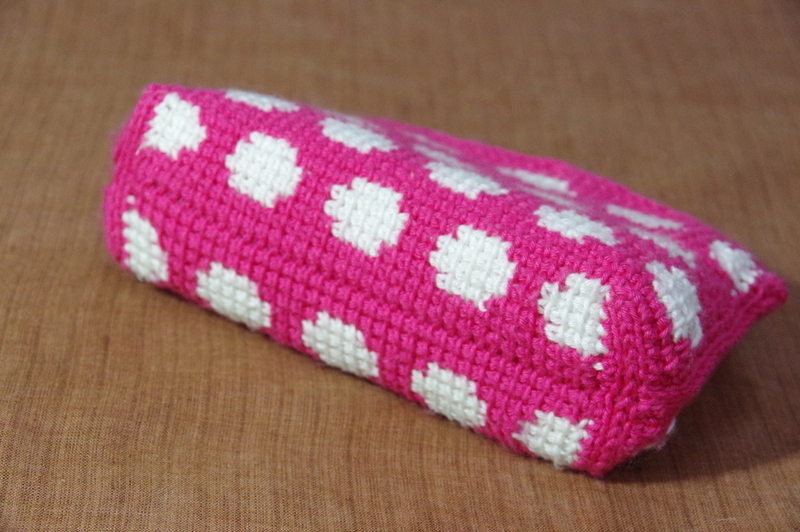 The lining is ready to be inserted inside the pouch. Insert lining inside the pouch and pin. Sew close to zipper teeth using matching thread as zipper.